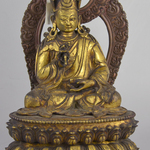 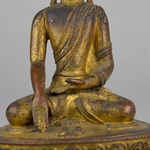 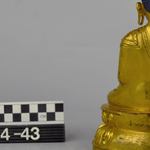 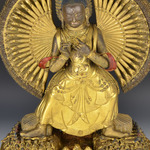 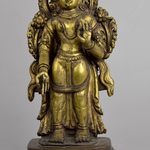 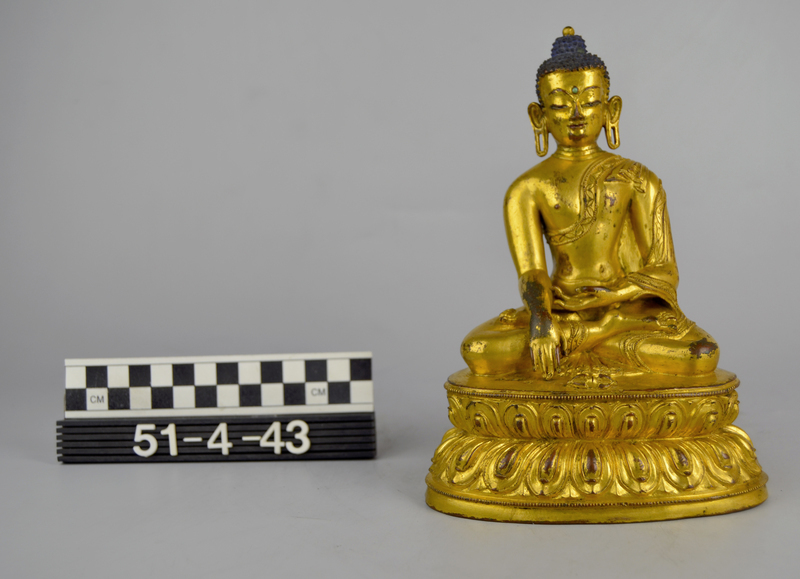 Gilt statuette of Buddha sitting on a double lotus throne in bhumisparsa mudra, the earth-touching mudra, symbolizng the moment of the Buddha's enlightenment. 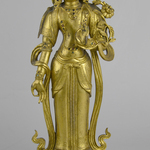 Hollow cast with a vajra on the base. 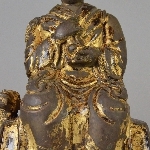 The hair is painted blue and there is an inlaid bluestone urna on the forehead. 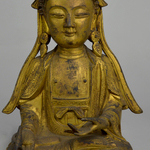 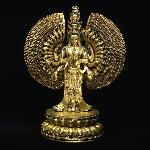 The piece represents either Sakyamuni, the historical Buddha, or one of the five Dhyani Buddhas, Akshobhya, the imperturbable.